Jake Rodgers scored an unconverted try in the second minute when he collected a clearance kick and ran to the touchline from half way. Minutes later, poor defence by Wharfedale allowed Robert Parker to touch down. Parker added the extras. Matters then got worse for the Greens when Ralph Wellock was shown a yellow for a cynical obstruction. 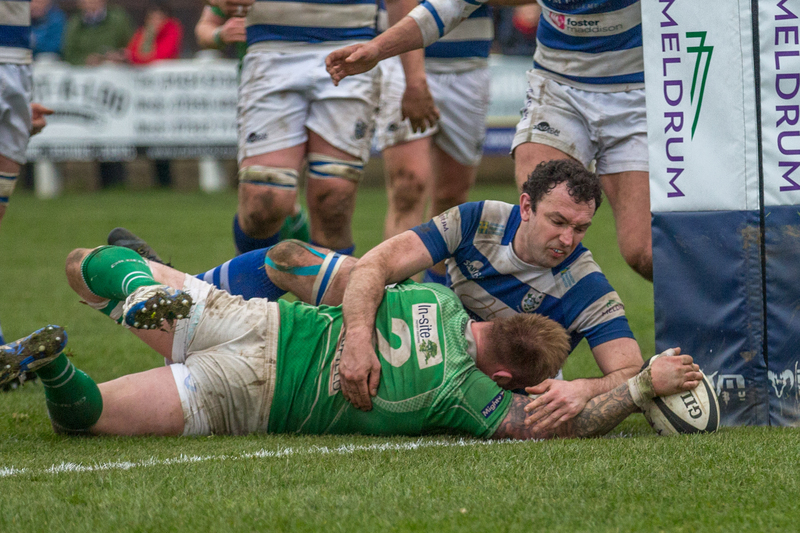 This seemed to wake Wharfedale up and they gradually clawed their way back into the match. First, they survived the period when reduced to 14 men and then they started to dominate possession and territory. Wharfedale: – Rian Hamilton, Ralph Wellock (Rory Macnab 44), Harry Bullough, Will Edwards, Oli Cicognini (Elliot Stockton 44), Jack Blakeney-Edwards, Sam Gaudie, Toms Asejevs (Joe Altham 57), Matt Houghton, Reece Ward (Jack Hirst 44), Ben Leacock (James Mason 67), George Hedgley (c), Chris Walker, James Tyson, Rob Baldwin.